Jingle bells, jingle bells / Jingle all the way / Oh, what fun it is to ride / In a one-horse open sleigh, hey / Jingle bells, jingle bells / Jingle all the way / Oh, what fun it is to ride /In a one-horse open sleigh. The Season of Joy and Happiness has come. Some look for joy in the birth of Jesus Christ who brought salvation to all people who believe – others look for joy in material things. Their enjoyment comes solely through purchasing, wining and dining and having a good time with family and friends. 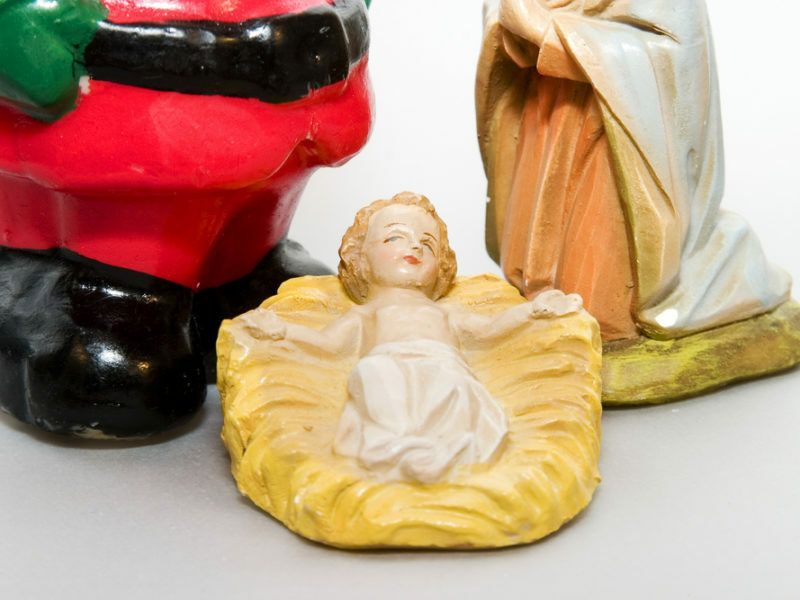 Christmas is the festival connected to the birth of Christ while Xmas has many rituals steeped in paganism. Some countries call it the “Holiday Season” and not the Christmas Season. 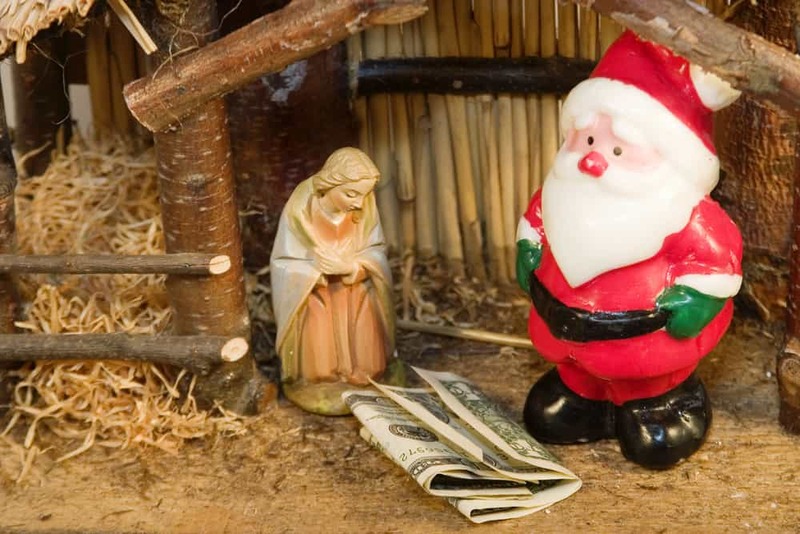 In a materialistic and non-religious society, Christmas has no significance as those societies have not accepted the birth of Jesus Christ as their Saviour. For Christians who believe and accept Jesus Christ as their Saviour, Christmas brings with it the story of the miraculous birth of Jesus Christ in a lowly manger and the vision of the shepherds, the Wise Men and the guiding Star in the scenario of the Roman rule of Israel and Herod the Jewish King. The birth of Jesus Christ in very lowly circumstances must of necessity bring a sense of humility love and peace and spiritual joy into the celebration of Christmas. What is significant is that “ …….great joy which shall be to all people” – not only for the Jews but ALL PEOPLE. When one looks at the immaculate conception of Jesus Christ and the supervening circumstances of the census that culminated in His birth in a lowly manger at Bethlehem a clear plan is seen where a King who should in worldly terms be born in a palace among the trappings of a prince of the world but the Prince of Peace is made to be born in a lowly manger. The Spirit of Christmas brings with it a season of joy a remembrance of salvation that was birthed by the birth, death, resurrection and ascension of Jesus Christ, The receipt of our own forgiveness and that of our enemies and foes (Sometimes emanating from close family) and sharing with others less fortunate the message of salvation and material things like good clothes and food which they never get to enjoy. It is really a season of sharing and caring in a sacrificial sense and not out of an abundance of things. One of the most soul reviving actions at Christmas is reconciliation and forgiveness which has been abandoned throughout the year or for many years resulting in the joy of a revival of relationships. Christmas is an opportunity for Children, parents, husbands, wives and in-laws who have been antagonistic to quell the fires of anger, hatred and rancor, with love of the Spirit of Christmas. Even more to be with the less fortunate, abandoned, lonely and the elderly who are forgotten more often than not and left to languish in Elders homes. In the Beatitudes we read: “But I say unto you Love your enemies, bless them that curse you, do good to those that hate you, and pray for those who despitefully use and persecute you “. (Mathew 5:44-46). Christmas is a time to renew our commitment to the ways of Christ as required by Him to review and to renew the commitments to Jesus and experience a birth of love hope and charity towards our fellow human beings and not for selfish enjoyment of either salvation or material things. Christmas is an opportunity to look back at the past year and see if as Christians we have followed the path of Jesus whose birth we celebrate. Have we loved our neighbour, been kind to all, not repaying evil with evil but with love, forgiving the most impossible people who have hurt us – have we burnt the hatred within us with love like Jesus did for us; do we ignore the poor at our doorstep and not look after their needs with what God gives us in plenty. We see poverty that has risen to mountainous proportions around us; can we honestly say that we have done our part to alleviate it . When one looks at the Story of Xmas, it is surrounded with the Xmas tree, Santa Claus and the reindeer with the gifts to children from Santa Claus at times coming down the chimney, bright lights and many diverse decorations, frenzied last moment shopping, the turkey, wine, sweetmeats and a host of ‘beautiful’ things. Mostly, buying for oneself and family and close relatives and friends. In fact the story of Santa Claus is a lie to deceive children practiced by all and sundry whether celebrating Christmas or Xmas. Is it any surprise then that Santa is an anagram of Satan? He is the father of lies. Whether we observe Christmas or Xmas, let us think of our less fortunate bretheren, children and elders and try to make a difference to their lives not only on this festival season but as a regular commitment.